Enjoy a day out and explore the River Thames at your own pace in our beautiful day hire boat or why not stay on board & convert to a holiday? Our boat day hire can accommodate up to 6 persons by day and a maximum of 2 persons overnight. You can hire this boat any day of the week from 10.00am to 5.00pm subject to availability. If you fancy having the boat for more than one day, you can book this boat as a holiday boat on the Thames. 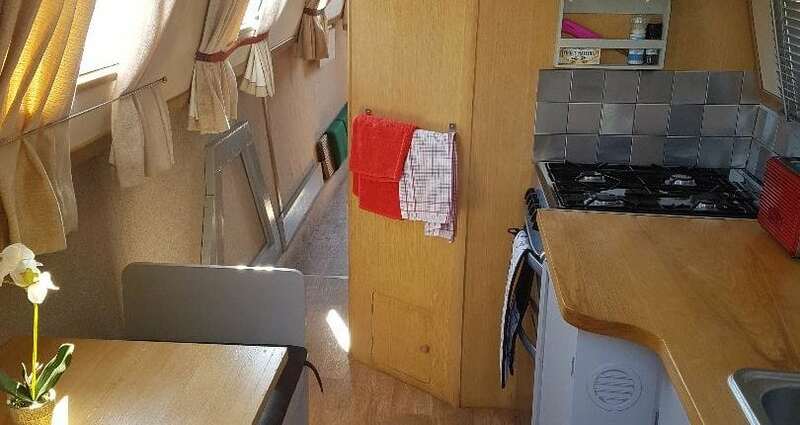 The boat is very easy to drive as well as providing generous living space inside. The front deck has seating for up to 2 persons and the extremely spacious stern deck allows 4 – 6 people to enjoy the views and of course provides ample space for the helmsman. The galley has a full cooker, including hob, grill and oven, so you can cook onboard and comes equipped with an under-counter fridge and a freezer compartment. There is a fitted kitchen sink with cupboard storage space. The lounge has a sofa (converts to double bed) and a wall mounted TV. The large stern deck, front deck make this perfect for families or small groups wanting to ‘get away’ and is perfect for exploring the River Thames. Book on line or call us. You will love this boat! Instruction is provided at the start of the hire and life jackets are provided. Pets welcome! This is a great way to celebrate a special occasion or a birthday. Bring your own food and drink and enjoy a lazy day messing about on the river.